Welcome to SPECTRA Resources Corporation, a specialized trading company designed for buyers and sellers to purchase and sell steel in any part of the world efficiently and economically. SPECTRA Resources is involved in importing, exporting, domestic and off-shore trading, warehousing, logistics coordination and the processing of multiple steel products. 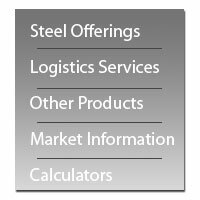 SPECTRA Resources boasts nearly 20 years of experience in physical steel trading and is positioned to bring a strong value proposition to your enterprise. At SPECTRA Resources, we take pride in being responsive and in knowing that you will receive what you’re looking for when you want it. Our goal is to satisfy our suppliers and buyers from around the world and provide quantifiable advantages for all parties. We are always available to serve your needs as you see fit. At SPECTRA Resources, we will always exhibit integrity in everything that we do for our business partners.